For the league win is a win doesn't matter 1-0 or 7-0. We had good chances wasted recklessly. Also Horn... what a GK he is. We created a ton of chances but had terrible finishing/faced godlike Timo Horn. Anyways, the conclusions from that we can draw from this game are limited other than that we should get another striker so we can bench Lewandowski when his finishing is crap. We’re in a bad patch of form right now. We’re thankfully still winning but our performances have been Ancelotti-ish. Not encouraging with a final vs Dortmund coming up, but hopefully they’ll show up as they did vs PSG. Is it a coincidence that we’re back to bad form when Ribery is starting? Ribery is ready for retirement. Sincerely, the club should thank him for everything. Bundesliga is in the period of goal drought this season, no fun anymore. It shows that Bundesliga is on the downtrend of quality, they can't score in both domestic leagues and European leagues. bmguy wrote: Bundesliga is in the period of goal drought this season, no fun anymore. It shows that Bundesliga is on the downtrend of quality, they can't score in both domestic leagues and European leagues. FCBayernMunchen wrote: We’re in a bad patch of form right now. We’re thankfully still winning but our performances have been Ancelotti-ish. Not encouraging with a final vs Dortmund coming up, but hopefully they’ll show up as they did vs PSG. How much of it is bad form, and how much is it "playing against teams that don't want to play football". I will never understand these fans, the same ones who didn't want us to get Neuer. VAR is the greatest thing to happen to football since the introduction of floodlights. Bayern definitely need Thiago back to the team. He would help us in possession play and insane throughballs that none of our current midfielders are capable of. He's good in defense as well. With this lineup, we have a chance in Champion League. I think pretty much everyone in German football is in agreement that VAR can't go on like this. 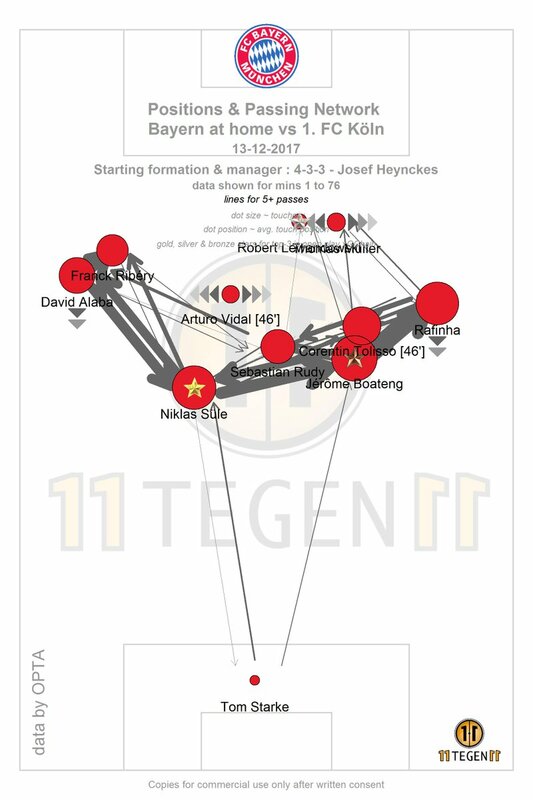 I think Jupp did a big mistake by fielding Tolisso, Rudy and Vidal against a double decker bus. Our first half was just terrible. Second half with Coman and James was better. Had both started the game, we would have probably won by bigger margin as their players would have been tired in the second half. Guy please check out my full thoughts on the game here. Thanks !!! Like what? I understand it's not perfect: but my opinion is that the imperfection comes from its non-regular use. We've seen loads of decisions overturned through VAR, decisions that would have been incorrect. Those wishing for VAR to be stopped don't want a fair match.